Its truly surprising that coffee not only refreshes you but it can also aid in your beauty. Not only does coffee awaken skin, the caffeine has also been shown to improve the appearance of cellulite. There are many expensive cellulite reducing products that contain caffeine, but you can easily create your own at home. 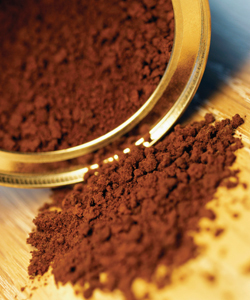 Coffee grounds can be used directly on your face and body as a natural scrub. The abrasive texture will scrub off any dull skin, leaving you with a glowing appearance. The caffeine will also act as an energizer for tired skin and puffy eyes, leaving you with a tightened and youthful look. For a stronger scrub, add sugar to your coffee grounds. You can also mix in some olive oil for a moisture boost. Mix two parts coffee grounds with one part water, and add a few drops of tea tree oil. Use a wash cloth or skin brush to massage the mixture onto skin in a circular motion. The tea tree oil will smell great and will add an additional boost to the circulatory system. 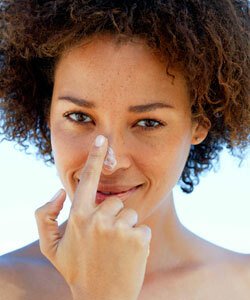 While the effects may not be instantaneous, you will see smoother and tighter skin over time. Why stop with your skin when your hair can benefit from caffeine as well? The way that caffeine increases your circulation can be applied to hair growth. When massaged directly into your scalp, caffeine can stimulate the hair follicles to speed up growth. Let brewed coffee chill, and pour it into a spray bottle for easy use. While in the shower, spray the coffee onto roots as an after-cleansing scalp treatment, and allow it to sit for as long as possible. Rinse your hair, and use products as usual. You will likely notice less shedding and increased hair growth with regular use. 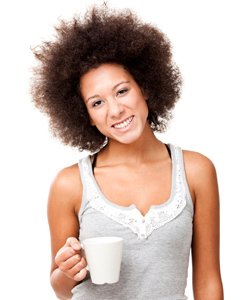 Curly girls with dark hair have discovered coffee as a great hair color enhancer. It can darken and add shine and dimension to hair. Use very strongly brewed coffee as a hair soak or rinse. Pour it through the hair, and allow it to really sink in. Make sure you protect any light colored clothing or surfaces in your home, and do not let the coffee run down your face. A shower cap is a great way to keep hair up and protected while doing a treatment. For a thicker moisturizing mask, mix coffee grounds with your favorite oil or conditioner. Your hair will be left shiny with an even tone. These mixtures can be added to henna hair dyes to amplify the darkening effects. You can also add cocoa powder to make the mix even darker! Like the idea of using coffee in your beauty regimen but not quite ready to DIY? Test it out with beauty products containing coffee. Curl Junkie Coffee-Coco Curl Creme contains coffee bean butter and is a multi-purpose product that both moisturizes hair and provides hold. Its sister product is Curl Junkie Coffee Coco Curl Creme Lite, which has similar ingredients but serves as a lightweight alternative for those with finer hair types.